Steve Cunningham holds the Series 7, 63 and 65 securities registrations through LPL Financial. 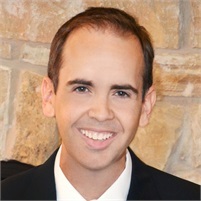 Prior to joining Mike Cunningham Investments in 2012, he worked at GuideStone Financial Resources for nearly 14 years, focusing on implementing investment strategies for a select group of clients related to retirement plans, nonqualified deferred compensation arrangements and other personal savings vehicles. Steve earned the Chartered Retirement Plans Specialist® designation from the College for Financial Planning. He obtained his Bachelor of Business Administration degree in Finance from Oklahoma Baptist University in 1996.